For four seasons, Nickelodeon seemed to go out of its way to make it hard for people to watch The Legend Of Korra, its Avatar: The Last Airbender sequel series. It bumped the show to bad timeslots with little notice, it burned off multiple episodes a week, it failed to announce a season premiere date until a week before it aired, and then it pulled a bunch of episodes entirely, forcing fans to watch them—and the entire subsequent season—online. 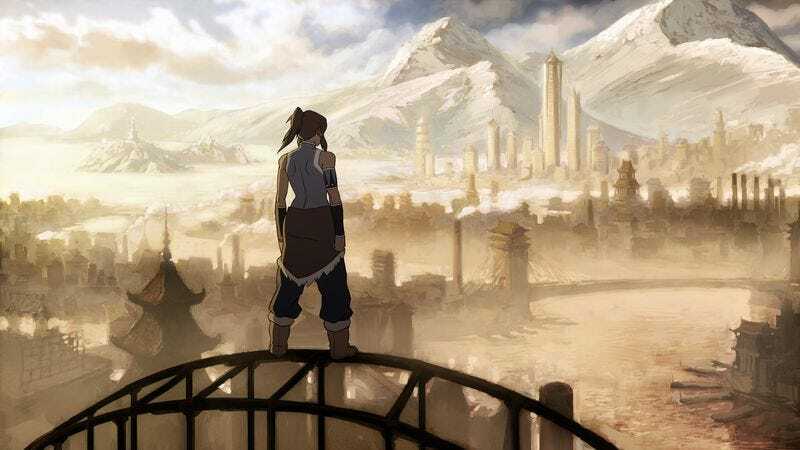 Now, as reported by IGN, series co-creator Bryan Konietzko has announced that a complete series blu-ray/DVD collection is on the way, meaning there will soon be nothing Nickelodeon can do to stop you from watching Legend Of Korra. Konietzko also revealed the set’s cover art (below), which features a rad image of Korra preparing to pull off some crazy Avatar moves. No release date has been announced yet, so maybe Nickelodeon will dump it on us with no warning as a nice throwback to the old days.